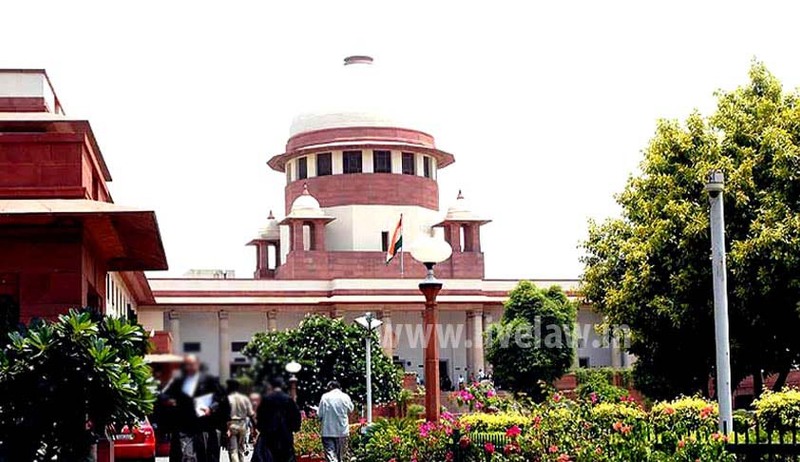 Supreme Court of India has re-iterated that a right to file first appeal against the decree under Section 96 of the Civil Procedure Code is a valuable legal right of the litigant. The Court has also stated that the jurisdiction of the first appellate Court while hearing the first appeal is very wide like that of the Trial Court and it is open to the appellant to attack all findings of fact or/and of law in first appeal. Court has also added that it is the duty of the first appellate Court to appreciate the entire evidence and may come to a conclusion different from that of the Trial Court. The Division Bench of Justices AM Sapre and Ashok Bhushan was forced to reiterate the above fundamental principles of Civil Law when the Bench has found, from the records that on the one hand, the High Court Judge observed that the appeal had “absolutely no arguable point" and on the other hand to support his observations, the Judge devoted 50 pages. The Bench said that that itself indicated that the appeal involved arguable points. The Bench has referred many Judgments where it was reiterated that sitting as a court of first appeal, it is the duty of the High Court to deal with all the issues and the evidence led by the parties before recording its findings. The Bench was hearing an Appeal filed by Union of India against the final judgment of High Court of Karnataka whereby the High Court dismissed the appeal filed Union of India, in consequence, affirmed the judgment and decree Additional City Civil and Sessions Judge, Bangalore.The dispute in this case relates to a plot of land situated near Krishnarajapuram Railway Station, which is around 14 KMs away from Bangalore city . The appellant filed the suit for a declaration that they (appellant) are the owners of the suit land and that the respondents whose ancestral claims to have interest in the suit land have no right, title and interest in the suit land. The Trial Court dismissed the suit on two grounds. It was held that the suit is barred by limitation. It was further held that the plaintiff (the appellant) failed to prove their title over the suit land for want of adequate evidence whereas the defendants (respondents) were able to prove their title over the suit land. The Supreme Court has also found that the High Court committed another error when it rejected the application filed by the appellant under Order 41 Rule 27 of the Code. Explaining the above provision, the Court has held that "order 41 Rule 27 of the Code is a provision which enables the party to file additional evidence at the first and second appellate stage. If the party to appeal is able to satisfy the appellate Court that there is justifiable reason for not filing such evidence at the trial stage and that the additional evidence is relevant and material for deciding the rights of the parties which are the subject matter of the lis, the Court should allow the party to file such additional evidence. After all, the Court has to do substantial justice to the parties. Merely because the Court allowed one party to file additional evidence in appeal would not by itself mean that the Court has also decided the entire case in his favour and accepted such evidence. Indeed once the additional evidence is allowed to be taken on record, the appellate Court is under obligation to give opportunity to the other side to file additional evidence by way of rebuttal". The Court then allowed the application made by the appellant under Order 41 Rule 27 of the Code and has permitted the appellant to file additional evidence. Finally the Court has remanded the case to the Trial Court (District and Sessions Judge, Bengaluru) for deciding the civil suit afresh on merits in accordance with law.